Drg. Linus Boekitwetan, M. Kes (ort) menjelaskan bahwa sariawan yang disebut juga stomatitis aphtousa rekuren (SAR), yakni lesi (luka) mukosa rongga mulut yang paling sering terjadi. Penyebab utamanya tak diketahui, tetapi ada faktor lain yang memicunya , misalnya iritasi gigi tajam, gangguan imunoligi, hormon, dan sebagainya. Drg. Linus menganjurkan untuk berkumur dengan obat kumur yang mengandung chlorhexidine gluconate atau topical kortikosteroid, untuk mempersingkat waktu penyembuhan luka. Obat jenis topical anestesi (salep) bisa diberikan untuk meredakan rasa sakit. Ahli obat tradisional China, Mochtar Wijayakusuma, mengatakan bahwa sariawan dapat timbul di lidah, langit-langit mulut, gusi, pipi bagian dalam, atau bibir. Penyebabnya bisa karena kekurangan zat besi, vitamin B12, infeksi virus dan bakteri. Dapat juga terjadi akibat lidah tergigit, atau mulut sensitif terhadap pasta gigi atau obat kumur. Untuk mengatasinya dengan obat-obatan Herbal, dianjurkan untuk mencoba ramuan Herbal dengan bahan tomat, kiwi, jeruk lemon, dan madu. Caranya dicampur 1 buah tomat dan kiwi (kupas kulitnya) ke dalam blender. Tambahkan dengan air perasan ½ jeruk lemon dan madu secukupnya. Blender, lalu minum 3 kali sehari. Sementara Yusnalaini Y. Mukawi, Msc.., ahli gizi dari Poliklinik Gizi RSPAD Gatot Soebroto, menyatakan bahwa kemungkinan sariawan terjadi kurang nutrisi. Tak ada makanan yang menyebabkan sariawan. Umumnya, masalah ini akan timbul apabila kita kekurangan nutrisi, terutama vitamin C dan untuk menghindari sariawan, dianjurkan untuk memenuhi kebutuhan vitamin C tak kurang dari 60 mg perhari. Selain itu lengkapi menu makanan sehari-hari dengan sayur dan buah-buahan. Jakarta, November 28th 2012 – Christmas and New Year holiday are soon around the corner and The Media Hotel & Towers is celebrating the upcoming festive holiday with special year-end promotions. The 5-star hotel is offering room packages, culinary promotions at all restaurants and a countdown party at the hotel’s Ballroom. With the theme “A Memorable Festive Holiday”, the hotel promises to deliver the most wonderful Christmas festivity and New Year’s celebration with an exciting year-end extravagant party. Solemn Christmas celebration will be memorable with hosting a wonderful dinner. Guests have options to enjoy Christmas Eve Dinner on the evening of December 24th 2012 at three restaurants; The Breeze Café located on 6th floor, Sukhothai Restaurant located on 6th floor or Dragon Court Chinese Restaurant at lobby floor. Menu are varied from International, Indonesian, Thai to Chinese gourmet. To embrace the evening, a group of Christmas Carol will perform at the lobby area while Santa Clause will pay a visit to surprise Children. For food lovers who wish to spend the New Year’s evening with an exceptional dining or even romantic candle-lit dinner, the hotel has prepared various venues to host. Guests may choose from International and Western buffet style menu at The Breeze Café, or enjoy Chinese cuisine at the Dragon Court or having an intimate dining occasion at the award-winning Thai restaurant; Sukhothai. Available on the evening of December 31st 2012 starting from 6pm until midnight, the New Year’s Eve Gala-Dinner is offered at Rp.250.000,- net/person featuring an extensive buffet menu or delectable 9-course set menu prepared by well experienced chefs. The Gala-Dinner is inclusive of live entertainment at each restaurant, choices of beverages and FREE ACCESS to Gold & Brown Night New Year’s Eve Countdown Party 2013. To accomplish New Year festivity, The Media Hotel & Towers Jakarta offers a special New Year package that includes 2 nights stay in a comfortable five star accommodation with breakfast buffet for two, New Year’s Eve Gala-Dinner for two, and a FREE privilege to access the hotel’s New Year’s Countdown Party for two persons. “This package is offered at only Rp.2.200.000,- net per room per two nights, an exclusive offer which we believe is great value for money,” said Executive Assistant Manager The Media Hotel & Towers Jakarta, Vincentia Maria. The feast will even get more exuberant with a dazzlingly stirring New Year’s Countdown Party take place at the hotel’s Ballroom. It starts from 9pm until midnight, the party will feature various entertainments such as live keyboardist and singers, live band, and door prizes. “With our new hotel motto welcoming-personalize-memorable, we are excited to indulge our distinguished guests in gastronomic enjoyment, entertainment and attentive services during upcoming festive season. Please come and enjoy Festive holiday at our hotel,” said General Manager The Media Hotel & Towers Jakarta, Algamar Idris. or simply visit www.themediahotel.com further information. Hati-hati, bumbu mie instant tidak boleh dimasak! Peringatan bagi kita semua bahwa mie instant tidak boleh dimasak bersamaan dengan bumbunya, karena MSG (mono sodium glutamate). Bila dimasak diatas 120 derajat Celsius akan berpotensi menjadi karsinogen, pencentus kanker. Perhatikan semua kemasan mie instant, kebanyakan prosedurnya masak mie dulu baru ditaburi bumbu. Bumbu di taruh dimangkuk dulu. Jadi jangan pernah masak mie beserta bumbunya! Hal ini berbahya! Hasil penelitian mengkonsumsi mie instant 4 hari berturut-turut berpotensi kanker, mioma, kista atau amandel sebesar 75 persen. Jika Anda tidak percaya, cobalah ambil kuah/bumbu mie instant lalu taburkan ke atas pot yang berisi bunga dan tumbuhan, beberapa hari kemudian tumbuhan tersebut akan layu atau mati. Masih banyak zat kimia yang tidak sengaja masuk ke dalam tubuh lewat makanan seperti nasi non organic, bakso, tahu, dan tempe, kedelai non organic, ayam potong dll. Sayangilah keluarga Anda, jauhkan dari penyakit..! Dragon Court is a stylish Chinese themed restaurant located on the lobby level of The Media Hotel & Towers, featuring authentic delectable Chinese gourmet, great ambience and excellent service. With a 150 seating capacity, which includes 4 expandable private rooms accommodating 10 guests of each, the restaurant offers mainly extensive a la carte menu of Cantonese and Szechuan cuisines as well as some inventive creation of Indonesian-Chinese menu. 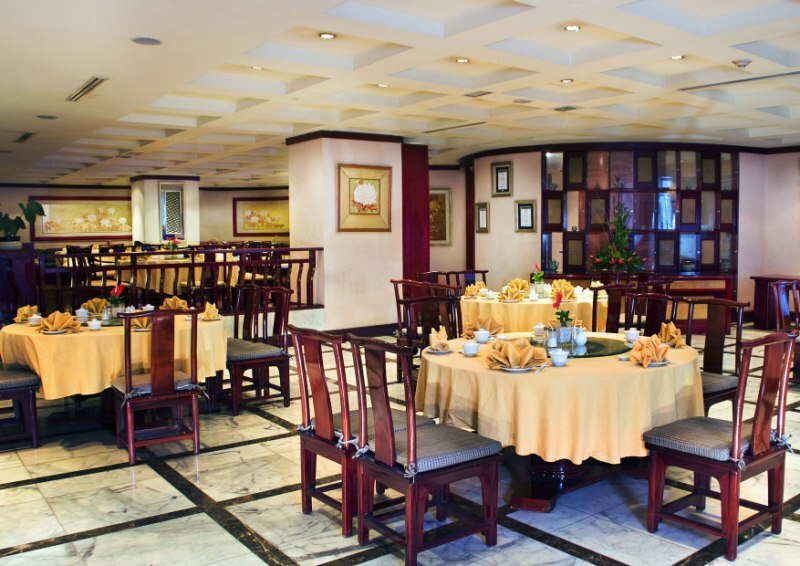 Every menu at the Dragon Court is carefully prepared by talented and professional chefs, approached with both traditional and modern method of Chinese culinary art. Each of dishes is distinctively presented to the highest possible standard. Scrumptious and incomparable taste are the restaurant’s assurance to every guest, sampling delightful selections such as Roasted Duck, Chicken Kung Pao Style, Comeo Garlic, Lamb Fried Rice, Fried Rice with Salty Fish, Shrimp Utter Crumb, and many more. Expect the highest level of personalized service from the restaurant staffs who attentively welcome and take care every guest with warm and friendly manner without being intrusive. With the restaurant service motto “Serve with Pride”, professional staffs will always be happy to advise guests on the house favorites and special menu as well as any other culinary assistance. The ambience is uniquely designed to amaze everyone’s eyes. It is chic-modest oriental décor setup throughout the furniture, fixture, walls and floors. Thanks to the Dragon statue, Chinese jars, calligraphy and paintings in which is able to transport diners to the mood of traditional homes in China. Dragon Court Chinese Restaurant opens daily for lunch from 11.30 noon to 02.30 pm and for dinner from 06.00 pm to 10.30 pm. It is also available for special events, such as wedding ceremony, birthday party, farewell party, family gathering, reunion, corporate gathering, and other special occasions. The restaurant is currently running a special promotion; Weekend Dimsum Buffet, available every Saturday, Sunday and public holidays from 08:00 to 14:00 at only Rp.69.000,-net/person inclusive of free flowing Chinese tea. Families and weekenders can now have more options to spend weekend holiday in Jakarta with the new arriving promotion called “Ancol Weekend Break”. Jakarta, November 2012 – The newly rebranded Media Hotel & Towers has recently announced its strategic partnership with PT. 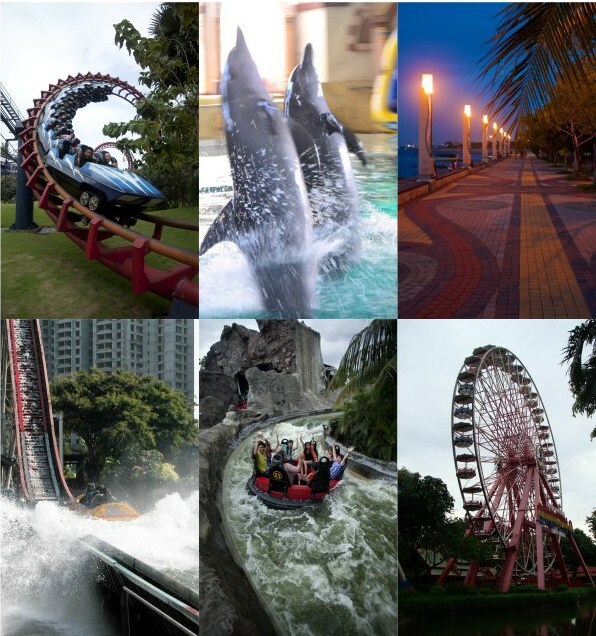 Taman Impian Jaya Ancol to promote a special weekend package named “Ancol Weekend Break”. The five-star hotel which is located at Jalan Gunung Sahari No 3 Jakarta is encouraging its distinguished family guests to support government’s campaign on domestic tourism “Kenali Negerimu, Cintai Negerimu” (Know your country, love your country) by visiting recreation and theme parks such as Taman Impian Jaya Ancol or Taman Mini Indonesia Indah (TMII). “By spending leisure time at those country’s recreation sites, means helping government and private sector boast domestic tourism in Indonesia,” said Algamar Idris, General Manager of The Media Hotel & Towers. On the other hand, he added, parents also teach children on knowing and loving our recreation parks. The promotion includes two night stay on weekends (arrival Friday or Saturday) with free entrance to Ancol Theme Park and Dunia Fantasi (Dufan), breakfast buffet or Dimsum buffet for two adults and one child. Additionally, guest can also enjoy varied benefits such as complimentary one-way shuttle to Ancol Theme Park (Taman Impian Jaya Ancol), free drop-off to Mangga Dua square based on hotel’s schedule, complimentary Internet access in guestroom and public area, 25% discount when dining at hotel’s restaurants and lounges, free access to The Acropolis Spa & Fitness, free a giveaway for one child, and free late check-out privilege until 18:00hrs. Valid through December 16th 2012, the special promotion is offered at Rp.1,749,000,- net per room per two nights. A child below 12-year old stays and dines for free with their parents. Additional child pay only Rp.200.000,- per child. Staff Meeting for all associates. During the meeting, General Manager Algamar Idris delivered a warm speech and presentations on hotel performance and calendar of activities, as well as announced awards to outstanding performer for the period of September 2012. Director of Room Division Joezar Rinaldi and from Finance Controller Yudi Yustiawan also delivered presentation on guest comments about the hotel. Attended by associates, the afternon gathering was closed with Birthday celebration completed with door prizes for those celebrate their birthday in October 2012. Kaitan antara konsumsi ikan dengan tingkat kecerdasan dan juga kesehatan sudah lama dikenal. Ternyata bahan rahasia dalam ikan yang banyak berperan dalam pencegahan penyakit adalah minyak ikan. Minyak ikan, ditemukan dalam ikan yang mengandung lemak atau pun suplemen. Lemak pada ikan berbentuk cair, karena disebut dengan minyak ikan. Penelitian menunjukkan banyak manfaat minyak ikan bagi kesehatan, tetapi bukti ilmiah menunjukkan minyak ikan bermanfaat paling besar bagi kesehatan jantung. Penelitian juga menyebutkan minyak ikan bermanfaat menurunkan kadar lemak darah trigliserida, memperlambat pembentukan plak pengerasan pembuluh darah, menurunkan tekanan darah, serta mencegah stroke pada penderita penyakit jantung. Karena manfaat terbesar minyak ikan berasal dari kandungan antiinflamasi, omega-3, para ahli percaya minyak ikan juga efektif mencegah penyakit akibat inflamasi seperti arthritis rematoid, osteoporosis, dan sebagainya. Manfaat lain minyak ikan yang sudah diketahui adalah menjaga kesehatan mata, menurunkan resiko penolakan setelah pencangkokan jantung dan ginjal, mengurangi gejala depresi, gangguan konsentrasi, penyakit jiwa berat Schizophrenia, atau gangguan bipolar. Tubuh kita tidak dapat membuat omega-3, karena untuk mendapatkan jumlah yang dibutuhkan kita harus mengasup makanan yang mengandung omega-3 atau suplemen. Selain pada ikan berlemak, omega-3 juga banyak ditemukan pada kacang walnut, minyak canola, zaitun, flaxseed, serta kacang kedelai. Dibandingkan sumber nabati, omega-3 yang berasal dari hewan tetap yang terbaik. Ini karena minyak ikan memiliki dua jenis asam esencial, yakni eicosapentaenoic acid (EPA) dan docosahexaenoic acid (DHA). Sementara sumber nabati hanya mengandung asam lemak alpha-linolenic acid (ALA). Riset-riset menunjukkan manfaat EPA dan DHA jauh lebih besar daripada ALA.
Meski sumber alami, yakni mengonsumsi ikan langsung dianggap lebh baik daripada suplemen tetapi sebaiknya Anda mewaspadai kemungkinan ikan tercemar mercuri atau logam berat. Untuk menyiasatinya, pilihlah ikan berukuran kecil, misalnya sardin yang mengandung toksin lebih sedikit karena mereka berada di bawah rantai makanan. Makin besar ukuran ikan, makin besar pula kemungkinan ia terkontaminasi. Bila ingin membeli minyak ikan, pilihlah yang berkualitas tinggi dan produknya punya reputasi baik.